These oil blotting sheets are softer than paper, so that these sheets can be used easily around your nose and other areas of your face. These Rectangle Blotting Paper are ideal for use over makeup. Clean your skin and prepares it for smoother application of make up by gentry absorbing excess skin oil. 1Box of Oil Blotting Paper. Contains a rich essence of chamomile, nature fragrant, efficient adsorption of excess oil. 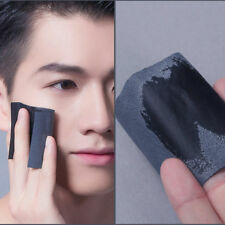 Features: Remove Oil, Facial Skin Care, Portable. Notes: Due to the light and screen setting difference, the item's color may be slightly different from the pictures. All our photos are made using light that is as close to natural as possible and avoid color variation. The color of photos may vary from different monitor. Due to the light and screen difference, the item's color may be slightly different from the pictures. 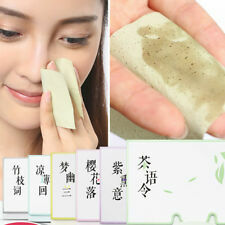 Double oil blotting and gently pressing the surface of the skin to make skin and makeup fresh, natural and more lasting. Absorbing the redundant oil from the face easily and quickly. 1 bag(50 sheets) x Oil Absorbing Paper(other accessories demo in the picture is not included.). Instantly removes your face excess oil. Spain, EU, Russia and other country. UK, Australia, Canada, New Zealand, Netherlands, Denmark and Asian countries. An explanation of the nature of the defect and item number must be noted before authorization can be granted. This is the perfect skincare product for areas of increased sebum. Apply a sheet to facial areas that require matting. After opening, use the sheets before the expiry date. micronized talc powder and refined green tea. Face Blotting Paper Matt and Clean by Bielenda. Each tissue is disposable, discard the used tissue paper. 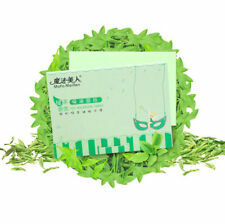 Attracts the face of excess sebum and sweat without disturbing makeup, they eliminate unsightly skin shine. This is truly a miracle fix for oily face. Do you also know that you can apply it over foundation?. Just dab the oil away and apply and voila you are set to go. Mary Kay Oil Mattifier. It also can give skin a greasy or sticky feel that is present several hours after cleansing. Suitable for sensitive skin. Clinically tested for skin irritancy and allergy. EASY TO USE DISPENSER! Our easy-to-use dispenser assures one-sheet for your use, avoiding waste while keeping the remaining tissues safe, fresh and sanitary. You won't lose! FOR YOURSELF OR AS A GIFT! Item Type: Oil absorbing Paper. 1 Box Oil Absorbing Paper (100sheets). Glossy on both sides for oil blotting. Target Area: Face. Flavour:As the picture show. Gender: Unisex.